Hikes are limited to 20 people. Reserve your spot by following the link for each month’s trip on our Upcoming Events calendar located on the right side of this page, then click the registration button on the prairiefriends.org web site. 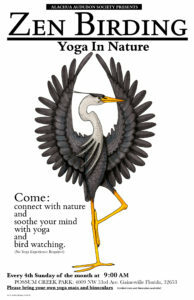 Or go to prairiefriends.org and click on Events and then find the month you would like to attend and register there. Hi! I am wondering if it would be possible to arrange a special birding trip for a church youth group? It might have more than 20 people is why I am asking.